From 1983 the EU chooses a topic every year, what is presented during the whole year, and popularize it to the citizens, like a thematic year. In 2015 the EU chose a topic first, what is not concentrated on the politics and affairs inside the EU’s territory, but focuses on the foreign affairs. 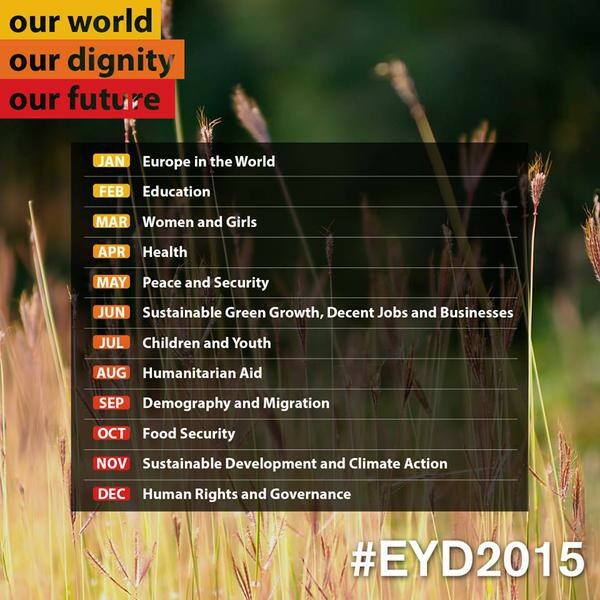 This year is called the European Year for Development (EYD). The emphasis is on the EU’s and the member states’ international development cooperation and humanitarian relief. The concept was born in 2011, and in the background there were lots of strong European civil initiatives working with the EU Parliament and European Economic and Social Committee, who have tried to devise and pass it. Why this issue is important? Why the 2015 year is especially important? What is the goal of this thematic year at the level of EU and member state? What do the EU and member states do to reach these goals? Who are the target audience of this year? This year is especially important for the EU13 and Hungary too, because they want to familiarize the citizens and the economic sphere with development cooperation. This is also a good opportunity to harmonize their national politics in lots of the fields for example: education, migration, trade policy etc. In the course of 2015 there are lot of public events, programs, exhibitions and workshops, focusing on youth. Beyond intelligence sharing there is a claim to reach the decision-makers to create a closer relationship. 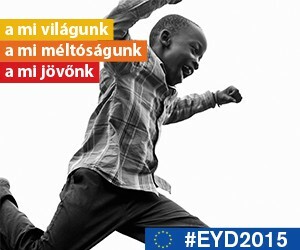 In Hungary there are numerous civil organisations contributing to the year addressing the most important values and problems related development.